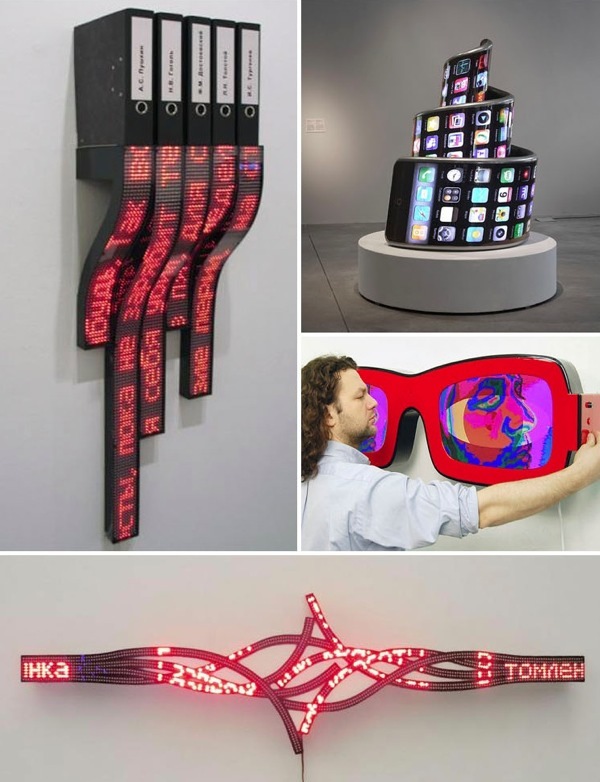 Aristarkh Chernyshev: New Media Sculptures « Adafruit Industries – Makers, hackers, artists, designers and engineers! Aristarkh Chernyshev: New Media Sculptures «. Moscow-based contemporary new media artist Aristarkh Chernyshev creates sculptures that integrate today’s technology while commenting on our obsession with it in a humorous fashion. 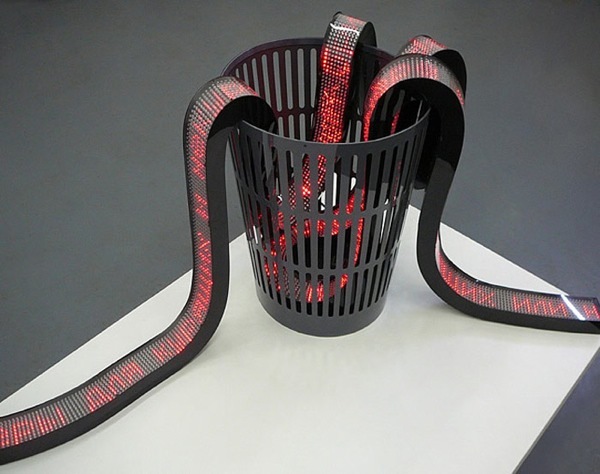 His LED sculptures play with the idea of information overload, in some instances grabbing real-time news feeds from the internet, winding them around the LED lightboard strips through the trash as in his workUrgently! (top two photos), or winding around endlessly in a knot as in Knode(third from top), as well as taking poetic texts and breaking them apart then reuniting them as stock exchange rates in Lyric Economy (second from bottom).